Our large diameter products offer all of the benefits that have made traditional solid wall HDPE pipe the industry standard for critical applications. It weighs less, comes in larger sizes, and a variety of options. The reputation of our manufacturers is of the utmost importance. We take great care to guarantee the quality of their products and offer everything from solid wall HDPE to profile wall HDPE to steel and fiberglass reinforced HDPE based on the needs of the marketplace. ISCO also offers pipe, fittings and HDPE structures such as manholes, tanks and vaults with diameters up to 132-inches and various pressure ratings. Culverts across North America are corroding at an alarming rate. Many are on the verge of collapse, creating dangerous conditions on roadways. Departments of Transportation and other agencies responsible for the country’s roads are turning to Snap-Tite® to repair and replace these deteriorating culverts. Whether for new construction or rehabilitation, check out Snap-Tite’s large diameter options by visiting Snap-Tite. 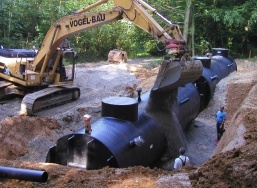 HDPE is proven to be chemical and corrosion resistant. That’s a huge advantage in industrial piping systems. The ability to thermally fuse the pipe secures a zero-leakage rate that can be maintained with relative ease. 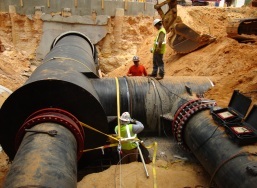 HDPE pipe requires no cathodic protection, internal linings or external wraps and can be expected to significantly outlast other piping materials in critical industrial applications. 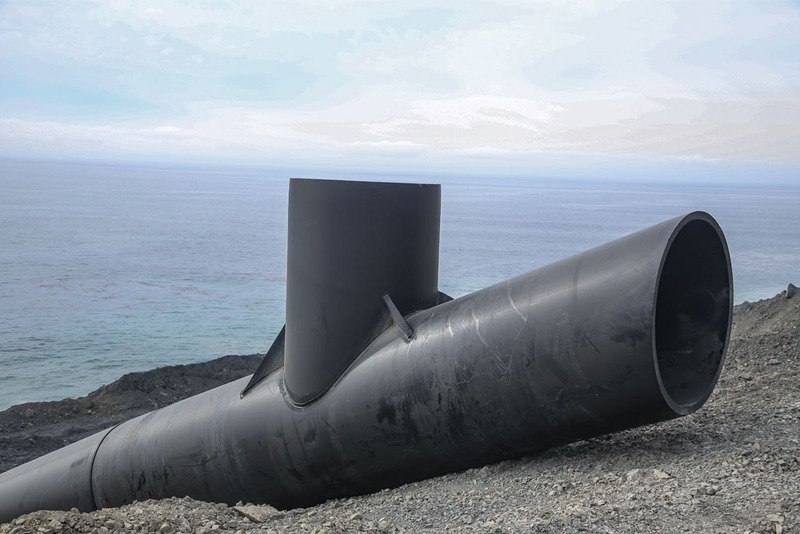 Since its introduction more than thirty years ago, large diameter HDPE pipe has proven its resistance to H2S corrosion, the leak-free nature of its joints, and its value to the waste water market. With our unique position as distributor for multiple high-quality manufacturers, ISCO is able to advise and assist our customers with design of waste water transmission and treatment projects utilizing the best products to meet each customer's needs. 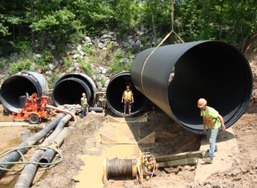 The features of HDPE combined with Large Diameter Profile Wall HDPE pipe available to 132" internal diameter and ISCO's many years of HDPE design and fabrication allows us to offer virtually limitless design options for manholes, tanks, pump stations, geothermal vaults and other structures. 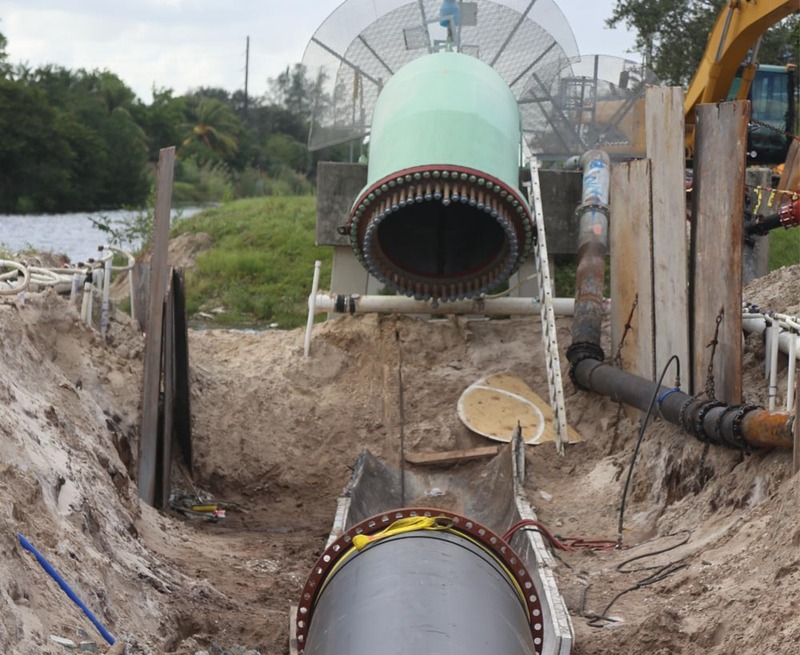 Large Diameter Profile Wall HDPE pipe provides cost effective, corrosion-resistant, long-term service for storm water drainage. Additionally, the ease of fabrication provided by these products allows ISCO to provide retention systems that will long outlast the parking lot or building built over them. Water supply and renewable energy sources are critical components of our economic health as well as our ability to produce the food we need while protecting our environment. 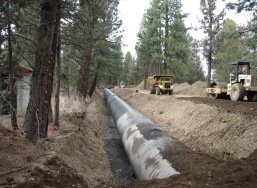 Irrigation districts, small hydro producers and municipalities increasingly turn to large diameter HDPE pipe as the material of choice for their piping projects. As a multi-line distributor of HDPE piping products of all sizes, ISCO is your single source for information, design assistance and corrosion resistant piping materials to meet all of your project needs.